With 25 aircraft in operation, 52 pilots on staff and more than 250 employees in peak season, Kenmore Air is among the best-known and most respected seaplane operations in the world. 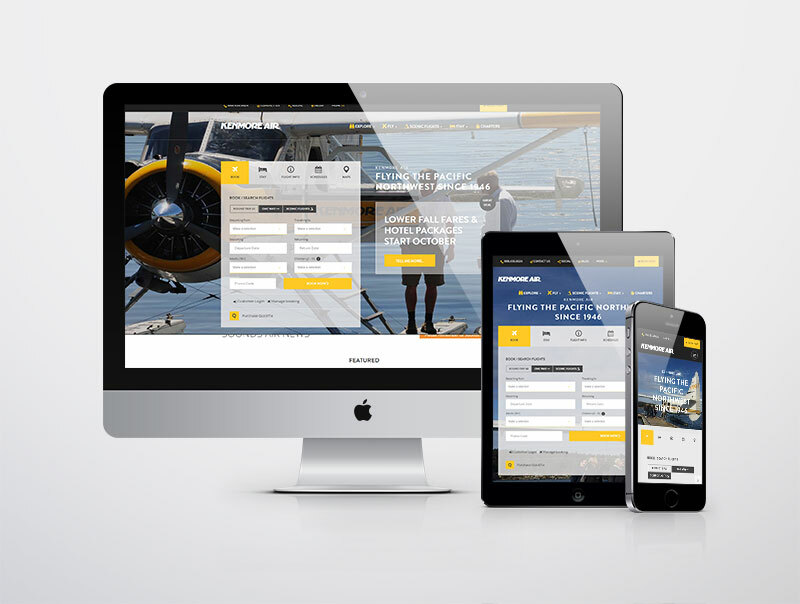 Takeflite worked closely with the Kenmore team to create a website that displayed the once in a lifetime experience you have when flying Kenmore Air. The Kenmore Air website has been designed and built by the design team at Takeflite and it integrates with the Takeflite Enterprise Software platform pulling live data feeds for scheduled and charter flights along with allocated inventory from local hotel suppliers.